Over a 12 month period works were carried out to replace Muirhead Road Overbridge as part of Network Rail’s ‘Railway Upgrade Plan’. The existing bridge was in poor condition and reaching the end of its life span. The overbridge was initially reduced to a single lane bridge and further reduced to a maximum weight limit of 18 tonne. With these limitations in place and with the volume and weight of traffic increasing due to a new housing development at the South of the bridge, it was no longer fit for purpose. The project started with the installation of a temporary footbridge to enable continued pedestrian access for the duration of the road bridge replacement. Once the temporary bridge was installed, service diversions began to divert all the major services running through the existing road bridge through the temporary bridge. The construction phase of the project consisted of three major weekend blockades to demolish the existing bridge deck, land the precast concrete cills and land the steel bridge frame. The services which had been temporarily diverted were then permanently re-routed over the new bridge and works were carried out to build the new road, footway and retaining wall. Installation of a temporary bridge to allow access for pedestrians throughout the works and temporarily divert all major services. Removal/demolition of an existing steel truss bridge deck. Installation of precast concrete cills and a new weathering steel ladder bridge deck. Permanent re-routing of major services through the new road bridge. Temporary works designed to allow access to carry works out safely. Methodologies developed to enable works to take place in close proximity to the railway utilising disruptive possessions and isolations. Prior to any works commencing on Muirhead Road overbridge we issued letters to all the residents in the surrounding area, detailing the works which would be carried out and the importance of these works to improve the existing road over the railway. This helped reduce the impact of our presence as the locals were aware of why we were there and how long for- an important factor as the road had to be closed permanently for a period of time and a diversion put in place. Early consultation with the local council and close residents resulted in good community relations. Proactively managing unforeseen delays enabling us to maintain our original completion date. Weekly meetings with the client resulted in good communication and understanding of the works. Working efficiently and collaboratively with all associates involved as a team throughout out the project. This project has not been without its challenges and the team at Story have addressed a problem which has been of concern to Network Rail for some time. 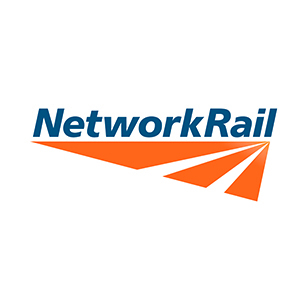 Thanks for your hard work which has delivered a great result for not only Network Rail, but also the Local Authority, pedestrians, road and rail users alike. Find out how we can help you on To find out more about how we can help you deliver your project contact Richard Hensman on on 0141 212 4434.